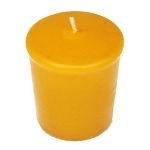 These yellow votive candles are bright, cheerful, and sunny for the happiest of occasions. 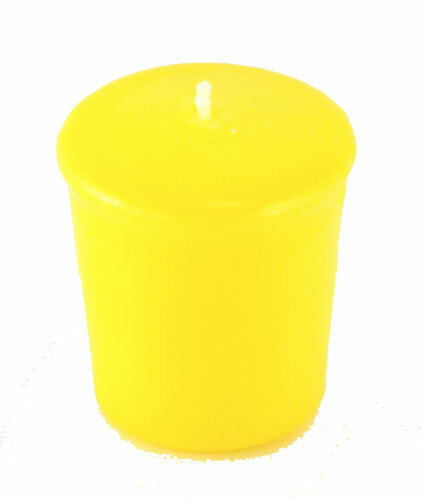 These yellow votive candles are bright, cheerful, and sunny for the happiest of occasions. 15 hours of soft glowing light and a delightful splash of color will enhance any corner or create a spectacular lighting display. I looked everywhere and party swizzle was the cheapest around. The candles are very nice. I am not going to light them. I just used them for decoration. Bright, sunshine yellow. Great for spring, summer, and mixing with other candle colors. Candle is well made, looks more expensive than it was. It's a candle, lights every time. Fast delivery good service recommend partyswizzle. Q: is it possible to get a sample of the color or a good description? i am looking for candles for my wedding and i would like them to be a bright lemon yellow color. 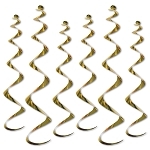 A: When you order sample candles from PartySwizzle.com, we will credit the cost of the items toward your final purchase. 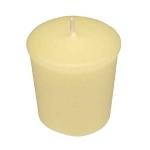 You may also want to consider the Buttercream Yellow votive candle.